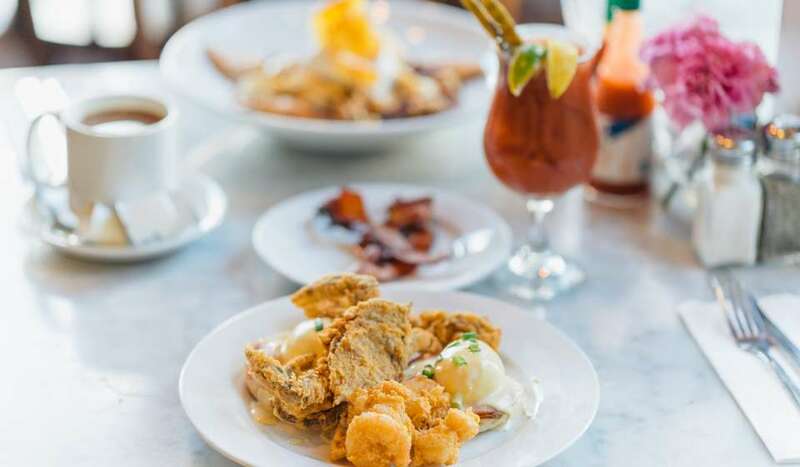 New Orleans revels in its French heritage so much, we have turned our Bastille Day fête into a weekend-long celebration with activities throughout the city. 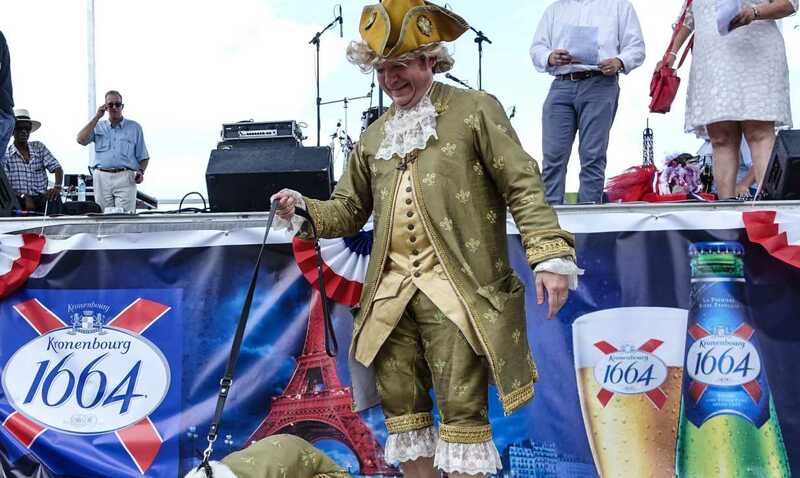 During the second weekend in July, there are French cooking demonstrations, music, kids’ activities, specialty French cuisine, a film festival and even a dog costume contest. The main event bringing French flair to the people of New Orleans is at the New Orleans Museum of Art. There are many free activities outside the museum in City Park and a small fee for activities inside the museum. Inside you’ll find music and dancing, French and English tours of the museum, French cooking demonstrations, activities for kids including French language lessons, and arts and crafts. The grounds of City Park are transformed into a French village in traditional fireman’s ball theme. 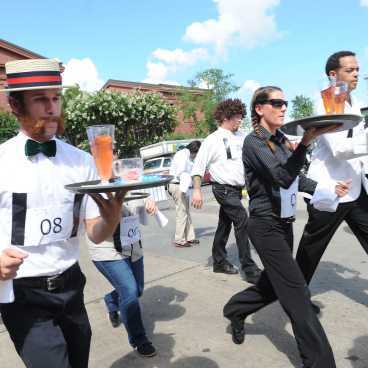 Activities include pétanque demonstrations and contests, mimes, balloon artists, a dance floor with music, French-inspired food trucks and a light show finale on NOMA’s building. Food vendors have included Crepes a la Cart and Café Degas, to name a few. 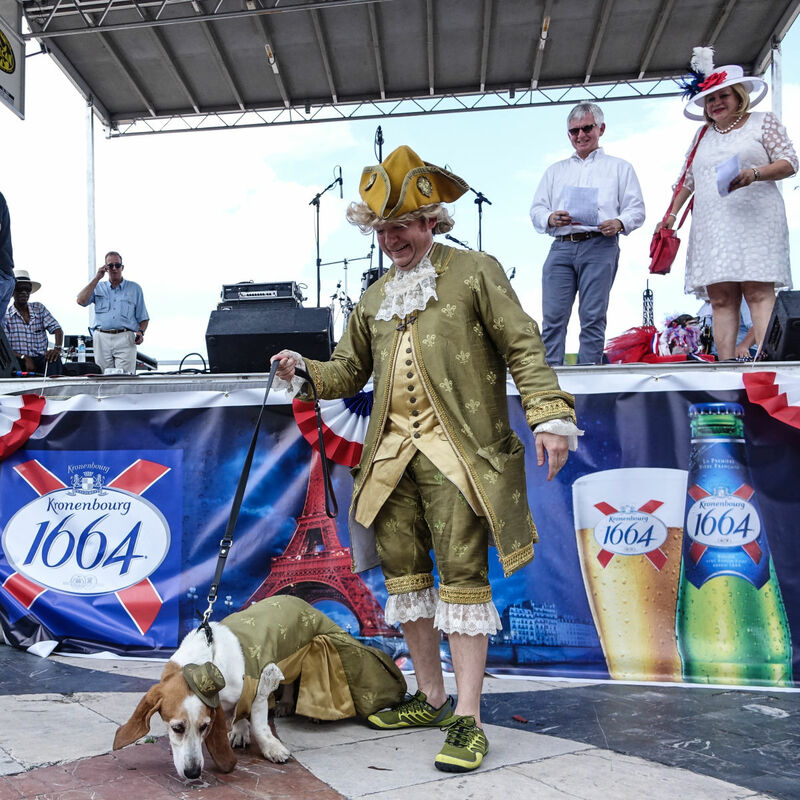 No Bastille Day celebration is complete without a dog costume contest. Adorable dogs of all sizes show off their French attire outside the museum. A portion of the proceeds benefit the LA SPCA, and everyone (including humans) is invited to wear their best Marie Antoinette or Napoleon costumes. Other city events include a neighborhood block party in Faubourg St. John. Festivities there include food, music, children’s activities and an art market. 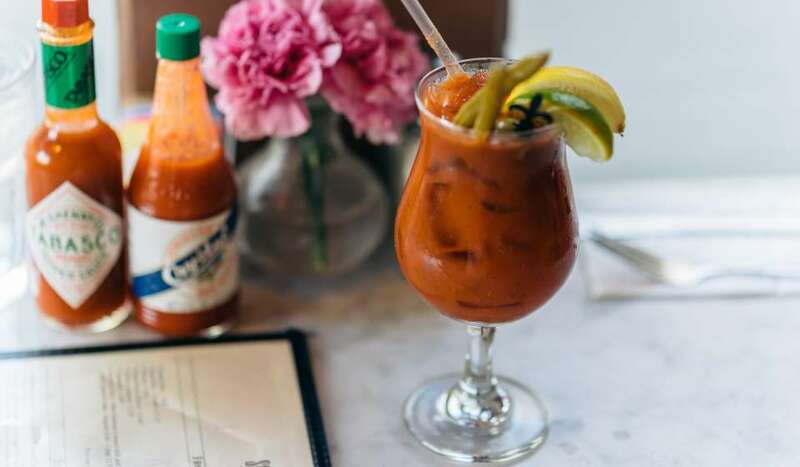 Adults have a drink and toast the French in this historically French-Creole neighborhood. The New Orleans Yacht Club hosts a regatta with boats decorated to honor France. Prizes for best decorated are handed out by the Consulate General of France followed by French wine tastings with music and wines paired with French cheeses. 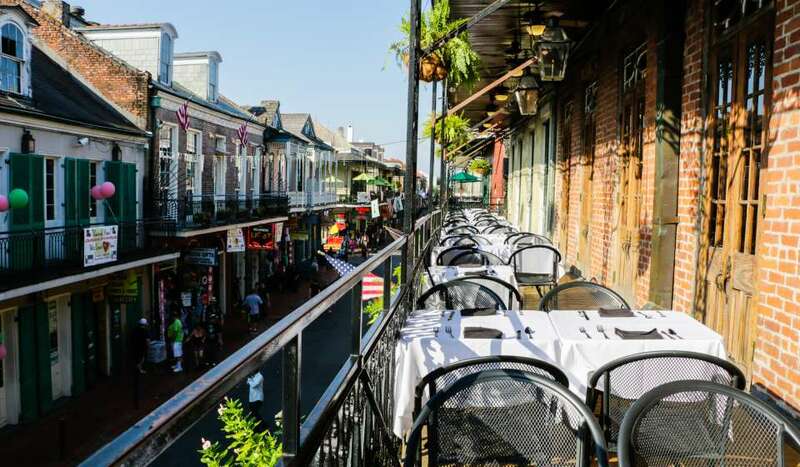 Another popular event takes place in the French Quarter. 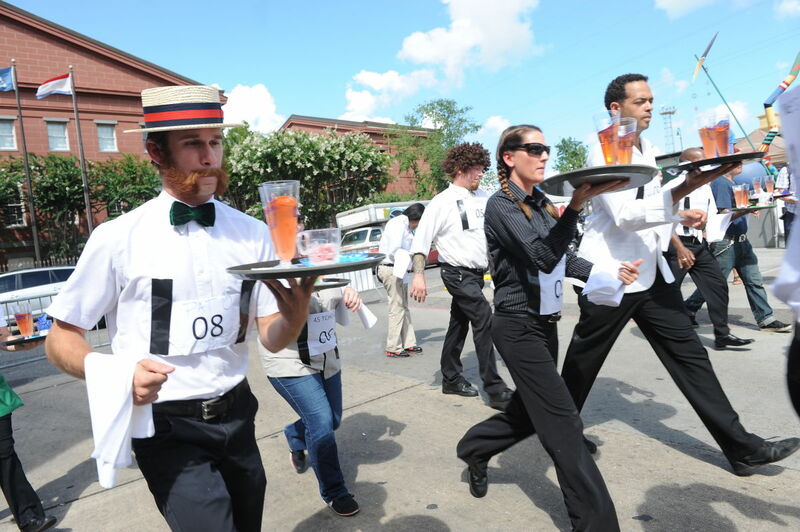 The annual French Market Bastille Day Bartender and Waiters Race pits local bartenders and waiters in a speed walk down French Market Place. Whoever spills the least of their croissants, champagne and water is the winner. There is a party after the race, and French food and drinks for sale. The weekend-long French Film Festival is held at the Prytania Theatre Uptown. Past French Film Festivals have screened anywhere from 10 to 12 films, some new and others classics like An American in Paris. Most of the films are in the French language with French casts and directors, and English subtitles. The weekend closes out with the Bastille Day Musical Extravaganza Celebration with free musical and dance performances at Trinity Episcopal Church on Jackson Avenue. 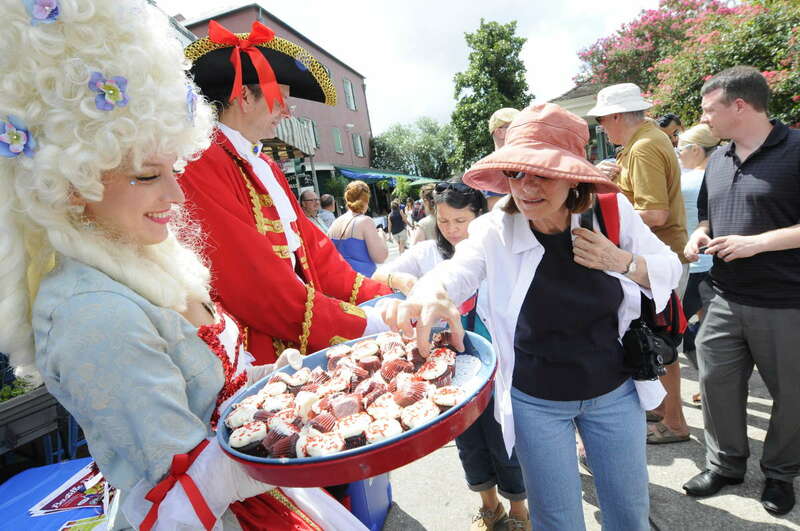 Bastille Day Fête is presented in partnership by the Alliance Française, the Consulate General of France in Louisiana, the French-American Chamber of Commerce (Gulf Coast Chapter), the New Orleans Museum of Art and the New Orleans Tourism and Marketing Corporation. About the Alliance Française of New Orleans The Alliance Française of New Orleans is a not-for-profit organization with a mission to promote knowledge and appreciation of the French language and Francophone cultures, and to encourage friendship and collaboration with the French-speaking world. The Alliance Française offers French language courses, language certifications, cultural activities and online resources. 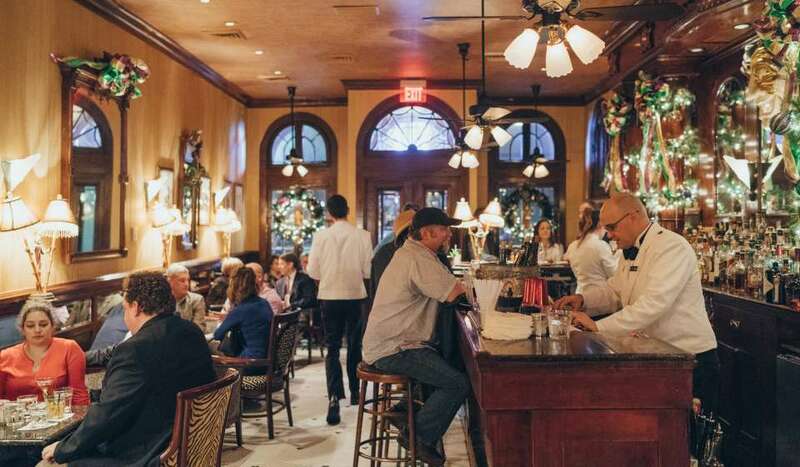 About the Consulate General of France in Louisiana The Consulate General of France in Louisiana was founded in 1803, following the sale of the Louisiana territory to the United States by Napoleon Bonaparte. It is the oldest French consulate in the United States. The Consulate’s principal missions include: consular assistance to the French community in Louisiana, support of French language educational programs, development of French cultural initiatives and facilitation of economic exchange between France and Louisiana. About the French-American Chamber of Commerce – Gulf Coast The French American Chamber of Commerce, Gulf Coast Chapter, is an independent non-profit private organization dedicated to promoting and developing trade and investment between France and the Gulf Coast. The Chamber is one of 19 chapters of the French-American Chamber of Commerce in the United States. 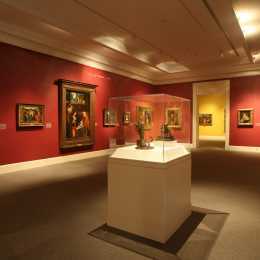 Enjoy 5,000 years of art in one day at the New Orleans Museum of Art, New Orleans' oldest fine arts institution, home to more than 40,000 works and the Sydney and Walda Besthoff Sculpture Garden.